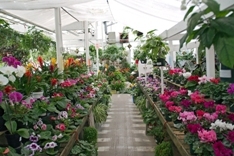 Our flower shop delivers the following areas on a daily basis. We occasionaly deliver outside our normal delivery area. Cities too far for us to deliver to, we will use our network of preferred florists to make sure your order arrives as expected. A local delivery fee of $8.99 to $9.99 will be added to each order, for each address. For deliveries outside our local delivery area, we charge a wire service fee of $9.99.